From developing innovative solutions to satisfying mounting compliance requirements, actuaries and IT professionals must learn to come together. Unfortunately, both groups are often at odds. Competing priorities, resources, deliverables and even communication can cause great frustration. Too often, they avoid each other — and to the peril of their organizations. Opportunities get lost. Mistakes become costly. 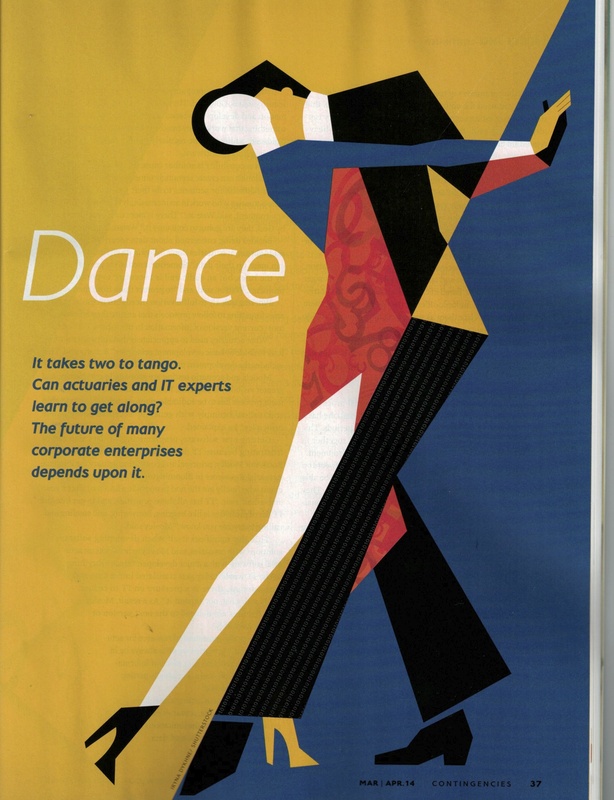 My article, “A Delicate Dance: Successfully Managing Actuarial and IT Departments,” published in the latest issue of the American Academy of Actuaries’ Contingencies magazine, identifies why both pros need each other and how they can move forward — together. I hope you enjoy the piece. And of course, I welcome your feedback! Excellent analysis. I have spent many decades working with both actuaries and IT folks. They come from different worlds and speak different languages. I believe the IT world should be able to help actuaries to determine their projections and address “green data”. Predictive analysis tools co- designed by IT professionals and actuaries would be very powerful tools in the industry.